CHEMETAL USA is a leading molybdenum plate and molybdenum sheet supplier. Our knowledgeable engineers are able to ensure our products match every technological parameter with respect to customer needs. Therefore, the quality received by our customer is guaranteed to have the required flatness, machinability and formability. Thanks to the manufacturing team’s hard work and close attention to detail, we are able to keep our strong advantage in the competitive market. We have realized that a high level of quality control is an essential prerequisite in achieving high customer satisfaction. 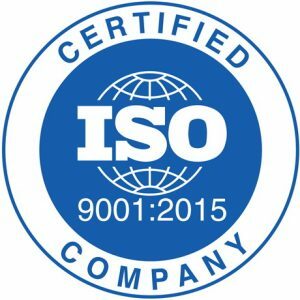 Because of this, we put a lot of emphasis on monitoring the quality of our products throughout both the manufacturing process and inspection stage. Thus, we can always ensure the high quality of our plates products. Our molybdenum sheet and molybdenum plate are initially rolled out from molybdenum ingot. Before that, the molybdenum ingot is generally made by isostatic pressing and then sintering the pure molybdenum powders under a high temperature. Finally, the Molybdenum metal needs to go through several processes, such as a cross rolling process, vacuum annealing and leveling, depending on which conditions the customer requires. 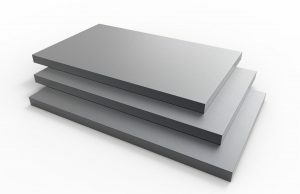 As an ISO certified molybdenum sheet supplier, CHEMETAL USA is capable of offering various types of plates and sheets that all meet a consistently high standard of width, length and thickness. We are also able to provide a fast lead time and handle large-volume contracts. Request a quote or contact us today by checking our CONTACT US page. Plate and sheet sizes are drawn on prior sales. Please contact us for additional availability. Molybdenum plate is the most common material chosen out of all the various molybdenum products. Many high temperature and electronic industries require molybdenum flat materials to produce furnace boats, hot zones, heat shielding, etc. The reason is that molybdenum material has a variety of valuable properties, which include high strength, hardness and heat conductivity in high-temperature atmosphere. It also has a low coefficient of expansion and excellent resistance to heat and corrosion. Some rapidly developing industries such as aerospace, electronics, and thermal treatment use a large amount of molybdenum plates products, especially in large size. Take the example of the molybdenum plate used to produce the electronic and vacuum components. An ideal material for electronic and vacuum components needs to have high strength, a homogenous structure, precise dimensions, and excellent machinability. Molybdenum plate can meet all these requirements. At the same time, it can also ensure perfect control in the range of yield strength, elongation and machining tolerance. CHEMETAL USA is dedicated to researching and developing qualified molybdenum plate. We are now capable of machining molybdenum plates and sheets with a range of thickness from 12mm to less than 0.5mm. This is achieved by going through a series of processes including hot rolling, warm rolling, cold rolling and others. The chemical and mechanical properties of finished molybdenum plate are uniform and exceed our customer’s requirements. To learn more information about our refractory metal products and raw material, please visit our HOMEPAGE.